Roots Horse Market is a homegrown company out of Walla Walla, Washington. 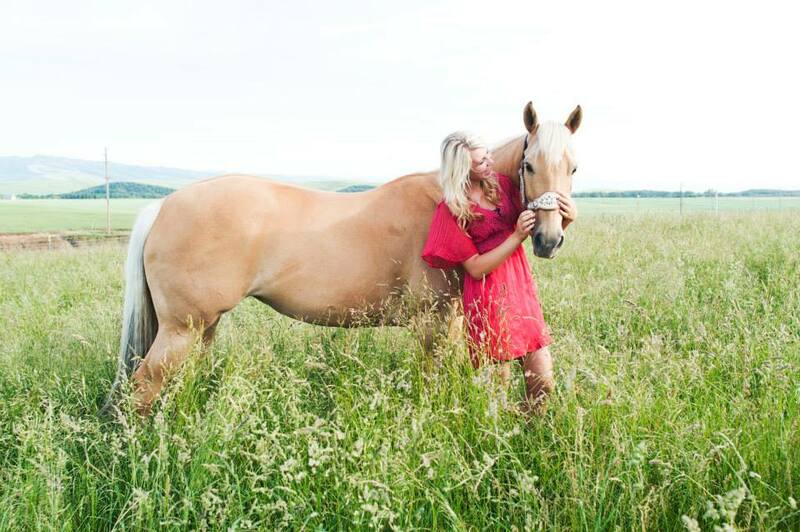 Started by Professional Barrel Racer and Horse Lover, Nicole Aichele, Roots was originally started as a means to get high quality and organic feed and Apple Cider Vinegar to her mare, Blondie, as she was declining in health after a surgery and the vets were unable to help or decipher the attack on her body. After many prayers (and tears) over Blondie's attack on her body and joints, Apple Cider Vinegar and Wild Fed Horse Feed were the answer to Nicole's prayers and to Blondie's needs. In 3 short weeks, Nicole and her family witnessed nothing short of a miracle when after 9 months on a decline, they finally saw significant improvement in Blondie's weight, attitude, movement and inflamed joint size. Of course, not being able to feed goodness to only one horse, Nicole's whole herd was given this feed regimen and also witnessed amazing results. This sparked a journey to find the best equine products on the market and offer them in one place. Best, is not defined by industry trends or retail value. Best is rather described by whole foods, organic products as much as possible, utilizing herbs and their nutrients, non-gmo, and nutritionally balanced formulas to assist the body to work as it was created. What is Roots Horse Market's ultimate goal and driving force? It can be summed up in a few verses. “Have you given the horse strength? Have you clothed his neck with thunder? Can you frighten him like a locust? His majestic snorting strikes terror. He gallops into the clash of arms. Nor does he turn back from the sword. The glittering spear and javelin. Nor does he come to a halt because the trumpet sounded. The thunder of captains and shouting." The Creator of the Universe, is also the Creator of us and our horses. Wouldn't it make most sense if we went to the One who fashioned every piece of our horses for help and wisdom on how to care for them? This of course, requires us to look past every single "new" and popular ideas and instead go straight to the Root of all of our struggles. To the Creator Himself and look to how He created us to eat, be and do.